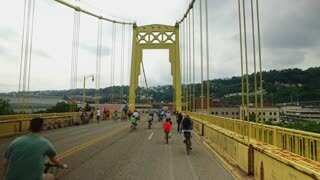 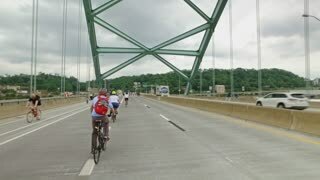 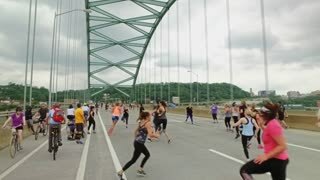 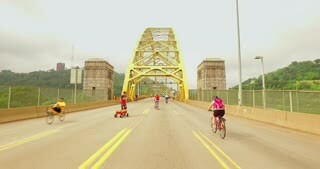 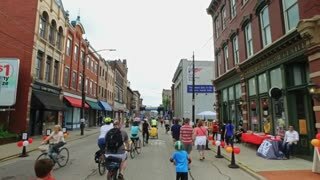 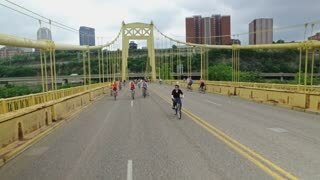 PITTSBURGH, PA - Circa May, 2017 - Bikers, walkers, pedestrians, and exercise enthusiasts participate in Open Streets Pittsburgh on the Birmingham Bridge on Memorial Day Weekend, 2017. 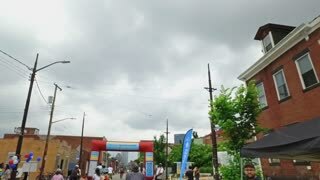 Part 2 of 3. 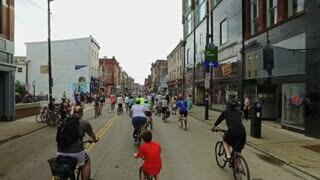 PITTSBURGH, PA - Circa May, 2017 - Bikers, walkers, pedestrians, and exercise enthusiasts participate in Open Streets Pittsburgh on the 10th Street Bridge on Memorial Day Weekend, 2017. 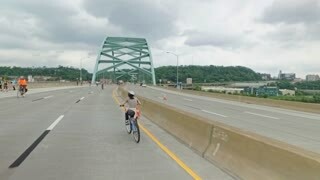 Reverse view, part 1 of 2.